Measuring in at 2 1/2" long, closed, the Dark Mini Assisted Opening Pocket Knife from Black Legion is a superb muliti-functional everyday carry in a discreet, stealthily small package. 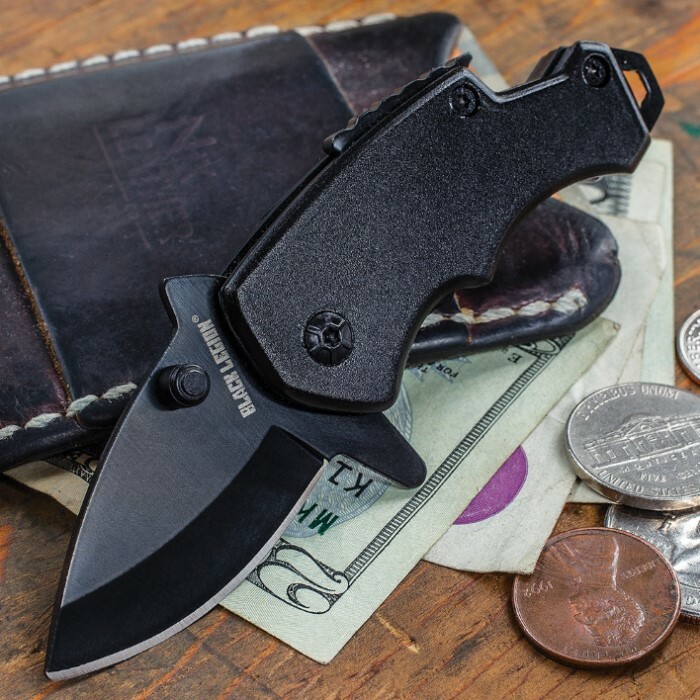 More than a mere "pocket knife," this versatile little folder boasts a bottle opener, a lanyard hole that doubles as a handy flat head screwdriver and an extra wide pocket clip that also serves as a convenient, slimline money clip! The Dark Mini doesn't sacrifice raw cutting power for its wide range of features and comfortable size, however. Its 2" black stainless steel blade is carefully honed to a razor's edge and is every bit as potent as its larger cousins. With just a nudge of the thumbstuds, the blade deploys with impressive speed. Keeping with the Dark Mini's sinister, gloomy motif, the rugged aluminum handle, torx bolts and all other hardware are a deep, inky black. 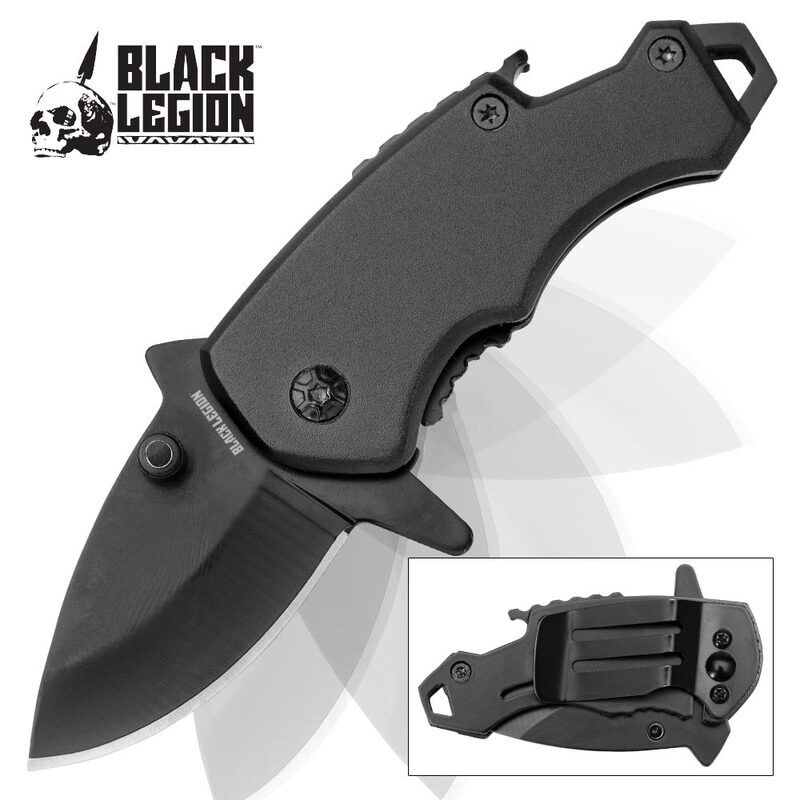 When you want a multitalented tool that won’t take up much space in your pocket but is just as effective as a standard pocket knife, Black Legion's Dark Mini is the perfect solution! 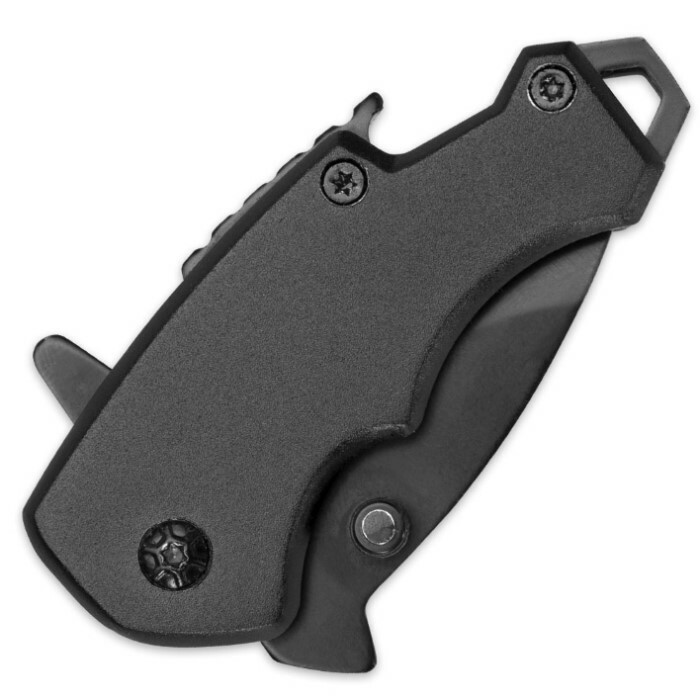 Blade doesn't flip out easily and pocket clip is tight. Seems well made, needs a break in period. Very small, very sharpe. Fits in change pocket of five pocket jeans. Nice, small pocket knife which I use as a money clip.